When we sat down with Jeremy Salmon, we asked him what cocktails he enjoys making most. He told us that he enjoys making something he’s never made before, so he did just that for us and came up with a cocktail that’s perfect for sipping as spring approaches. Method: Combine top five ingredients in shaker. Add Prosecco to glass and add thin lemon slice. Add ice to remaining ingredients and shake together. Pour into the glass overtop Prosecco and lemon. Want to see more cocktails like this? Follow Jeremy on Instagram @velvety_velvety_red. 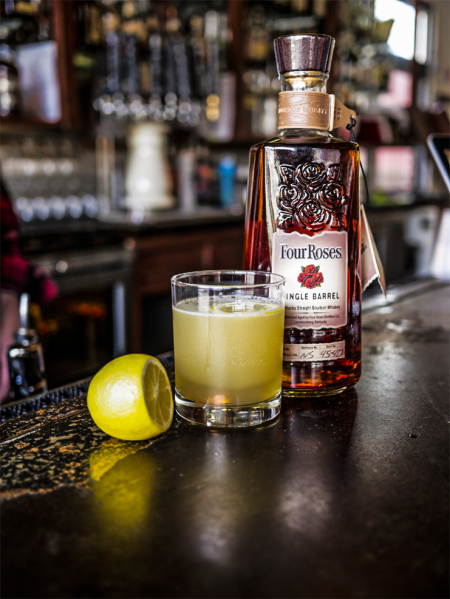 While you’re at it, give us a follow too @fourrosesbourbon.